4251 E Placita Baja, a 5,700 square foot Mediterranean that was totally remodeled in 2007 sold for 900K; it was listed by Long Realty. It boasts a hard-to-find 4 car garage and is powered by Solar. 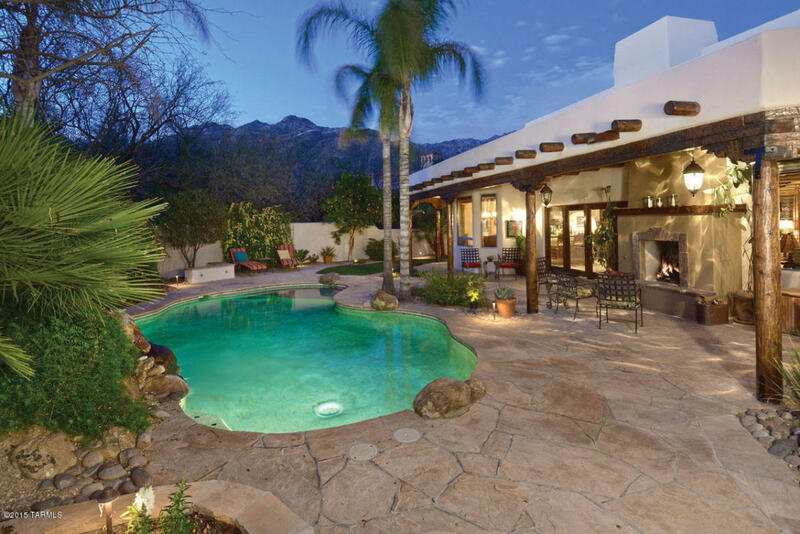 The setting is up-close and personal to the Santa Catalinas with panoramic views. 6710 N Longfellow Drive, listed by Long Realty sold today for 907K. 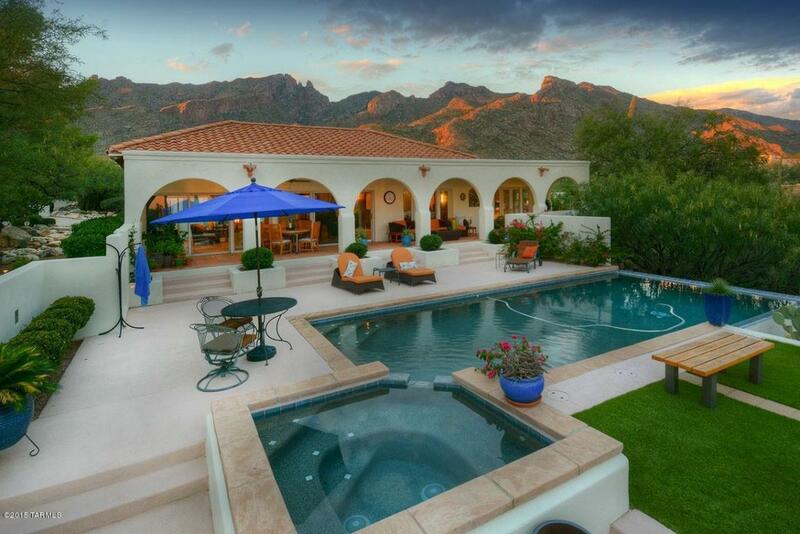 This 3,851 square foot sited home is located high up in the Santa Catalinas on .81 of an acre. It last sold as a foreclosure four years ago and then those buyers totally updated it. Click on the address to see more details and photos and as always if you want to explore the Catalina Foothills housing market, call me at 520-615-2598. 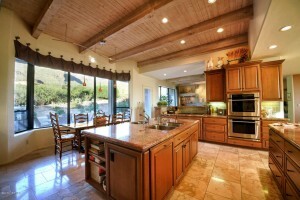 7460 N Catalina Ridge sold today for $1,350,000 (listed by Remax Results). 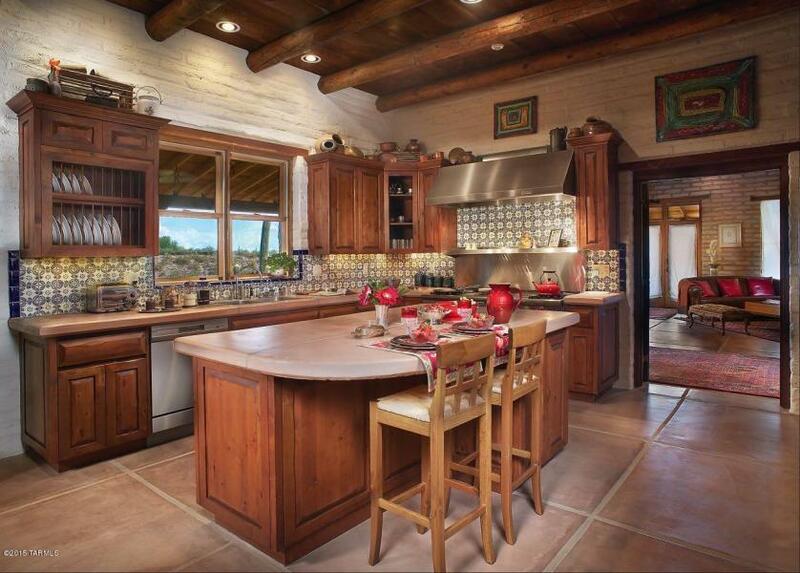 This real gem was renovated in 2002; has over 4,800 square feet and is sited on almost an acre. 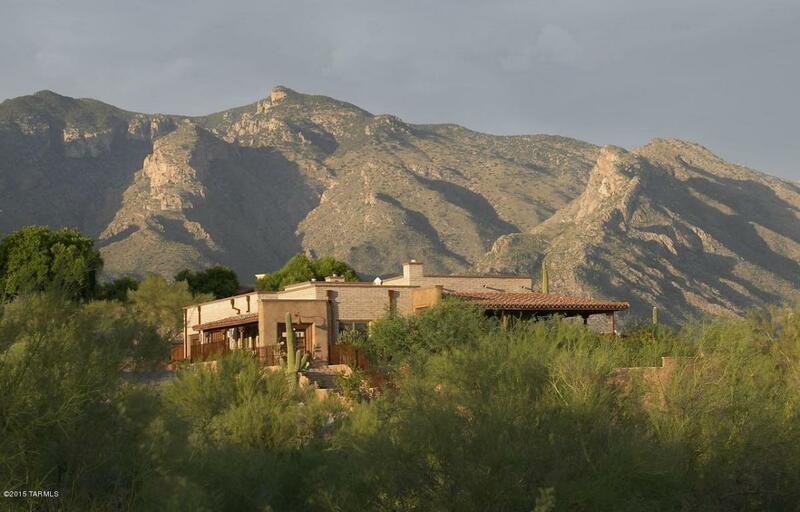 Perched high up in the Santa Catalinas with stunning views, this one was a great deal. Click on the address to see more photos! After trying to sell 7431 N Secret Canyon Drive for 6 years, the Sellers finally struck gold. 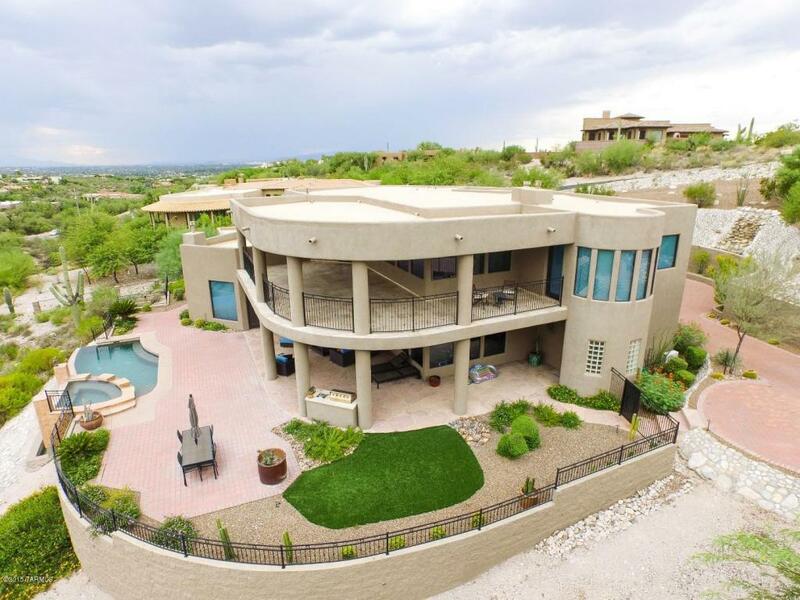 This 12 year old almost 10K square foot home (very large by Tucson standards) with 4 car garage sold today for $2,037,500 by Long Realty. It had been listed by two other realtors previously with a starting list price of $5,950,000 in 2009. 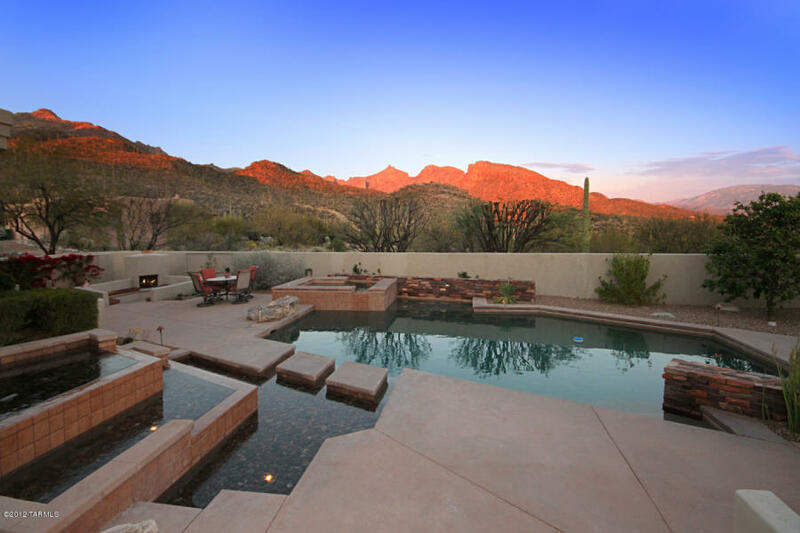 The Canyons is located very high up and nestled into the Catalina Mountains; views are really special of the surrounding mountains, Sonoran Desert and the twinkling city lights. 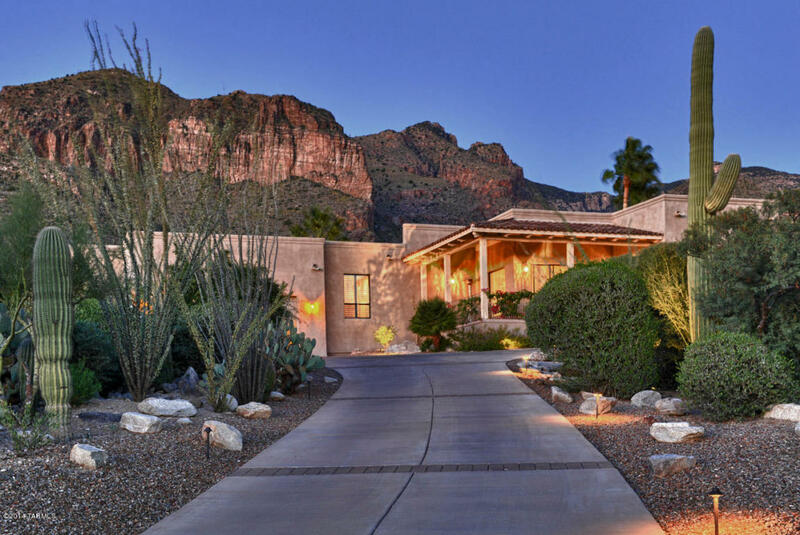 The Canyons offers a 24 hour manned security gate and is a small community of the most expensive homes in the Catalina Foothills. 6254 N Sabino Shadow Lane, listed for the last few years by Lynn Kline Realty, finally sold for $1,165,000. This home last sold for $1,073,000 14 years ago and since has been listed by more than one company and had started on the market at 2.2 million seven and one-half years ago. The over million dollar real estate market has had a very hard time recovering so bargains like this one still exist. 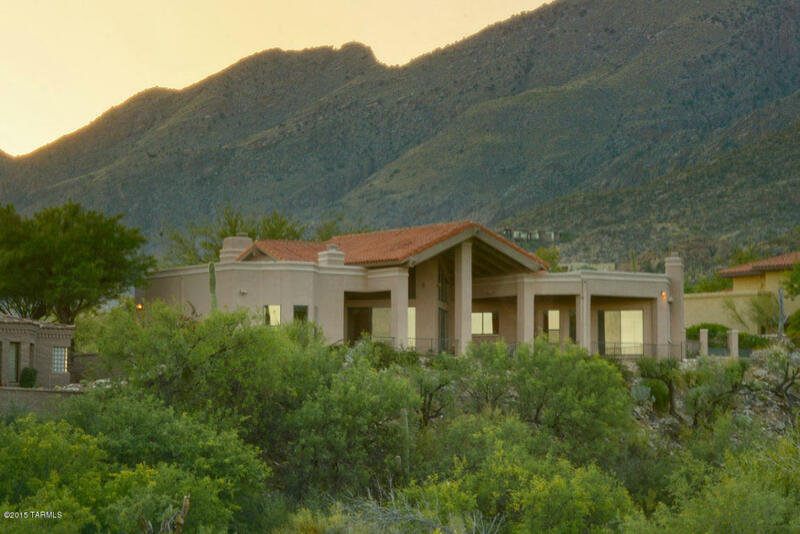 This very appealing Contemporary has over 5,100 square feet and is sited on almost an acre with a peaceful and beautiful location near coveted Sabino Canyon. Views are of the pristine Sonoran Desert and the Santa Catalinas. 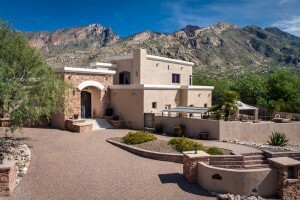 High in the Catalina Foothills sits 6150 N Piedra Seca which is an over 4K square foot 12 year old rare mud adobe. 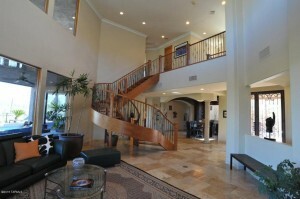 This 4 bedroom, 4 bath home– marketed by Long Realty– sits on 1.12 acres with dramatic Santa Catalina and city views. 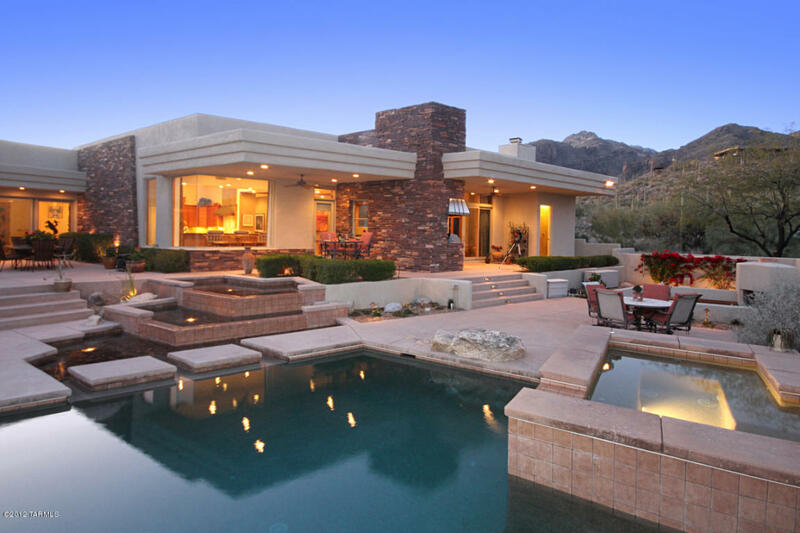 It sold very quickly at $1,075,000. Another bargain sold by Realty Executives Tucson Elite at 3550 E Camino A Los Vientos for 1.1 million. Eleven Arches is a small enclave of newer homes in a gated area near the Hacienda Del Sol Restaurant and Hotel. It seems like almost all the houses that have resold in this community have sold at bargain basement prices. This two-story home was built 8 years ago and has almost 5K square feet on 1.26 acres. 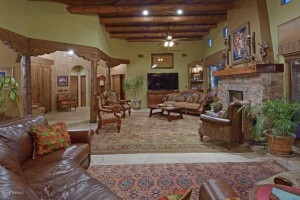 It has nice city and Catalina mountain views, 4 bedrooms, 4 1/2 baths and 4 fireplaces. It last sold at 900K as a Short Sale in 2009. Give me a call at 520-615-2598 if you want to explore the Foothills housing market. 6011 N Desert Sun Court, a little over 3K square foot, 21 year old Santa Fe, sited on a little over 1/2 acre sold for 835K by Long Realty. This Ventana Canyon home is a rare treasure since it has the authentic viga beams, hand carved corbels and lintels, high viga beamed and planked ceilings, stack stone fireplace and more that make this one most inviting Santa Fe’s I have seen. It last sold for 715K three years ago before this major renovation. 7164 N Mercer Spring that sold for $1,460,000. 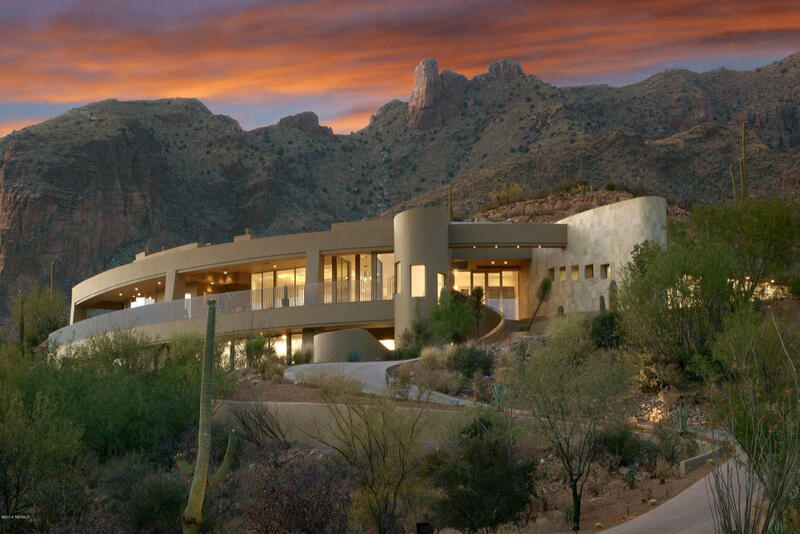 This stunning and very sophisticated contemporary has almost 5,900 square feet and is sited on an acre homesite high up in “Foothills II” community. 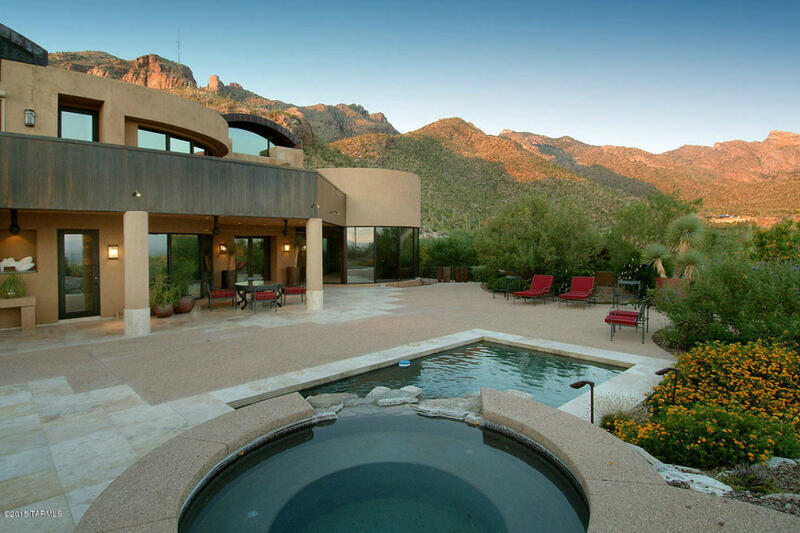 This green home with solar sits up so high it has one of the best views of all Tucson and is located adjacent to the most luxurious community of “The Canyons”. It last sold at the peak of the housing market at 1.9 million eight years ago. 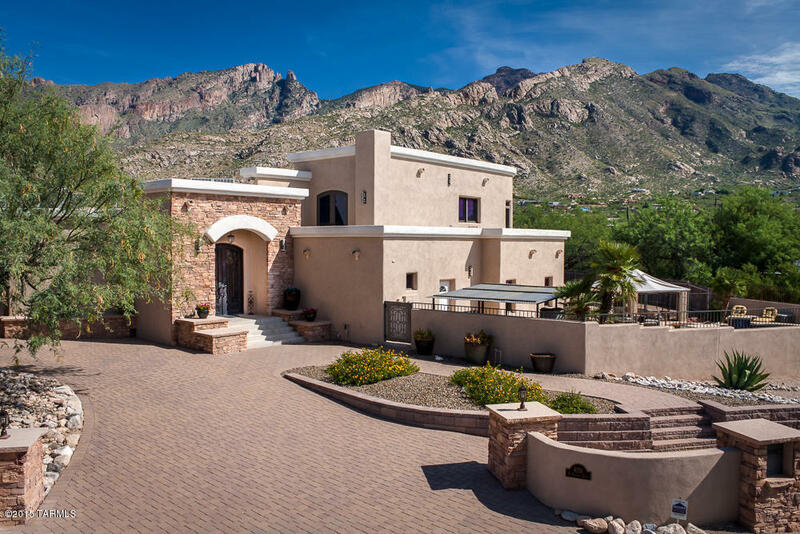 6242 N Desert Moon Loop, a 3,600 square foot, 26 year old Mediterranean that is sited on 1/3 of an acre sold today for 945K- listed by Long Realty and Russ Lyon – Sotheby’s International found the buyer. This one was only on the market a month and a half which is quick for this price-range. 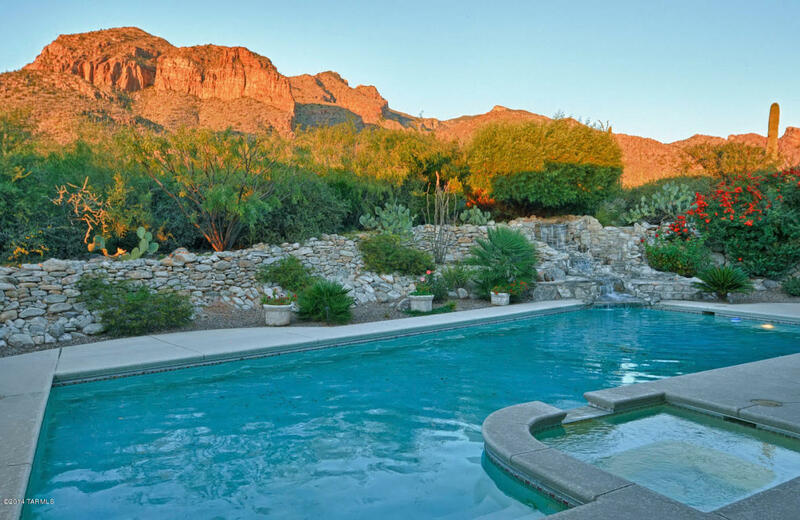 Ventana Canyon County Club has a 24 hour guarded gate and boasts a most gorgeous setting with golf at your door step, plus multiple pool-tennis and other recreational opportunities.